Today's visit to Berkshire Hills Emanuel Camps featured four diverse supervisors from Camp JRF: the songleader/special needs coordinator, the experiential education director, a unit head/dance specialist, and the technical director. 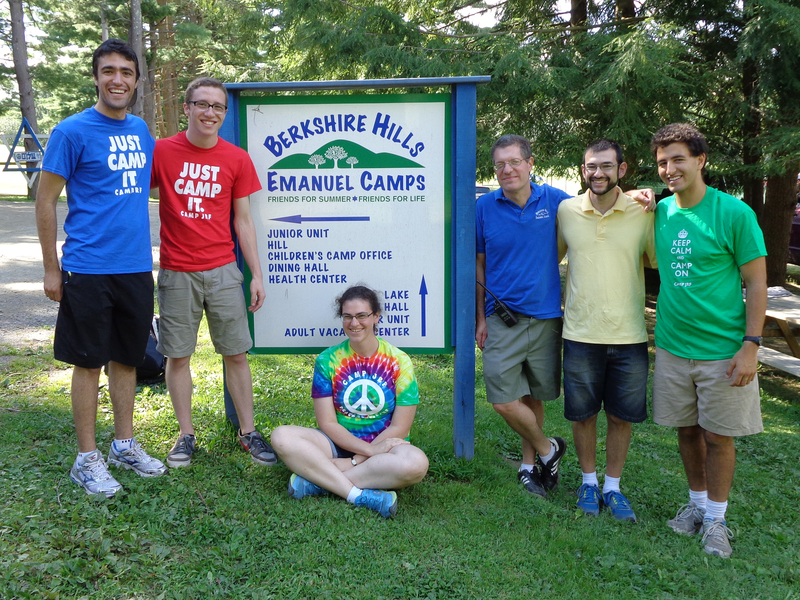 From their variety of lenses, the supervisors eagerly explored Berkshire Hills Emanuel's newly-refocused program, including refurbished buildings, more diverse specialty offerings, and a renewed commitment to staff professionalism. 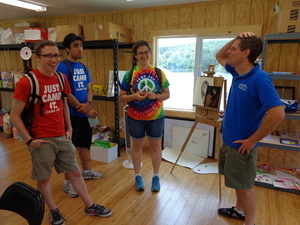 Since it moved to its current Pennsylvania location four years ago, Camp JRF's leadership has been learning more about dining and facilities management. (Previously, they'd rented a camp property, with those services included.) Berkshire Hills Emanuel has also been focusing on those elements, since Adam Weinstein became the director a little over a year ago. 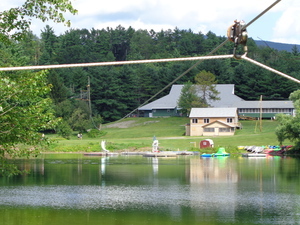 In that time, Weinstein has accomplished a total renovation of many of camp's buildings, refreshing their appearance and optimizing their interior layouts. But most impressively, the changes have been incredibly frugal. Rather than demolishing and rebuilding, Adam worked with the maintenance director to identify small improvements with big impacts, like a fresh paint job in dynamic colors, updated paneling on interior walls, and replacements for outdated windows. They even removed a wall in their rec hall to create a useful new music room! Weinstein's creativity has left Emanuel with far more budgetary freedom than if it had demolished and rebuilt these buildings, and the changes can be immediate, without the need for significant fundraising. The JRF supervisors asked lots of questions about Emanuel's history and alumni, because their own camp is only 12 years old. As they looked at a wall of photos going back 50 years, one JRF supervisor remarked that they could easily start a similar wall back home, because some of his colleagues had been around from the beginning. Emanuel also depends on its alumni for some of its financial support, since it has an alumni base spanning over 70 years, and it actively welcomes them back to the property. JRF has already built a strong culture, despite its young age, and today's visitors were excited to become parents and re-visit the camp as alumni! 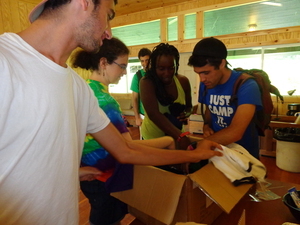 Before they left, the JRF supervisors presented the Emanuel supervisors with an entire box full of gifts and souvenirs, and Emanuel's director happily reciprocated!